22nd trait – The modern man does not text while walking. The modern man does not text while walking. The attached photo is of the phone model that I own. I think it’s called a Nokia 105. It cost me about $35. One phone charge is good for roughly an entire month. I can talk on it and send texts. It has a camera but I’ve never tried it. I recharge it online with $20 worth of credit which has always been enough. It’s bomb proof. So my phone communicates in other ways as it lets me filter people into two distinct and accurate camps. The sound is getting a bit tinny though so I may have to replace it – with another one of the same model. I met a young lady the other day. She was from Germany and had been living in Australia for about a year. I asked her why she had moved here and she told me that she had an Australian boyfriend. She said that he was very nice but that in the last few months he had taken to being on his phone at all times. Sitting at a bar, he would check his phone. Waiting for a train, phone. Sitting on the train, scrolling on the phone. Walking down the street, texting on his phone. 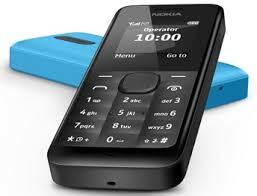 The reason I have the Nokia 105 is because I know my own weaknesses. If I had a phone with internet access I’d be on it all the time as well. It would be like giving a confirmed drug addict a loaded crack pipe and telling him to put it in his pocket and walk around all day. We are children of technology. I got my first computer at the age of fifteen in 1986, (an Amiga 500!) I’ve been doing this computer stuff for a long time. But you can either use this technology or you can let it use you. If we let technology define who we are then we become slaves to it. Every now and then someone posts a picture of an isolated hut with the caption, “Could you live here without any technology for a month? ?” I wouldn’t even blink. It would be the easiest month of all time. Give me a pad of paper and a few pens, a crate of wine, some cigars, and a fishing rod. All good, baby. Hell, I could even do it without any stuff at all. I used to teach meditation and all that jazz. But the amount of people bemoaning that this would send them into a meltdown is quite astounding. This betrays their ignorance of who they are. They do not know their own weaknesses and they cannot just sit and be. A valued friend is one that I don’t have to break the silence with. The two of us could sit by a river for a long time without feeling the pressing and overwhelming need to talk. Comfortable with ourselves, and comfortable with each other. It’s a rare thing. Being on your phone all the time is the need to be constantly distracted. In meditation we teach how to slow the mind down, to decrease the internal monkey chatter. Being on the internet all the time is monkey chatter exploded ad infinitum. You are just constantly filling your mind with nothing. And the actual living that you’re doing, everything that is going on around you, it is all missed. Even when we are watching something, perhaps a parade of famous people, the vast majority are standing there holding up their phones. If you could go back in time 200 years would you walk around with your eyes open or would you walk around on your phone? And I don’t mean recording for posterity, I mean just surfing the internet if that were technically possible in this imaginary example. In meditation we say that the mind is a wonderful tool but a terrible master. Technology is exactly the same. It is already hard enough to slow one’s own mind, but to have to slow an addiction to technology on top of that would be very difficult indeed. 23rd trait – The modern man gets on with it. When the cellphone first became available for “ordinary people” I was stationed at Ft. Bragg. We were usually on alert and we all had pagers for that reason, but I wasn’t interested at all in taking the next step to connectedness. And he gives his number to rather few people.